.. and another week goes by, where does the time go? 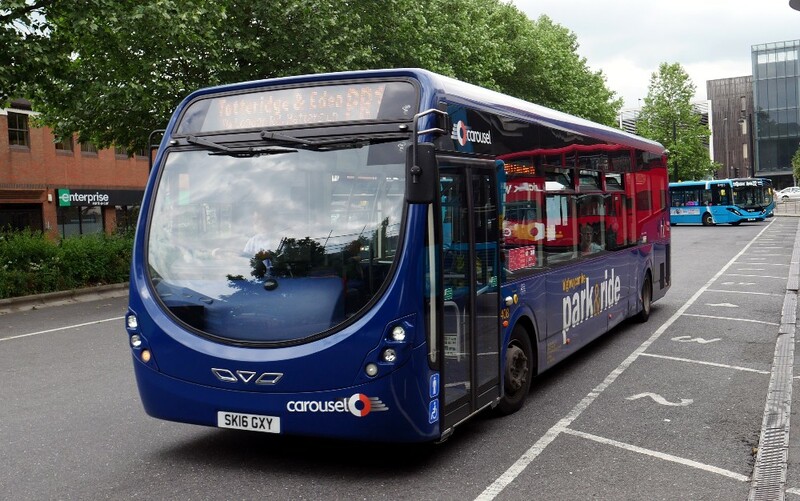 Again quite a lot happening in the past seven days including problems at First Bus, a new image for Carousel in High Wycombe, more details on the new Plaxton double deck coach and the closure of Oxford Station for two weeks in July. A stop press item is the ongoing saga of Wexham Park Hospital which readers should look at carefully. As ever I am very pleased with the level of contributions for this page, not only for our immediate local area but also from further afield. Finishing this page late on Monday evening I have to hold over a number of contributions until the next issue in two weeks time. Apologies to those whose efforts have been missed in this issue. Carousel launches a new image - The Chiltern Hundreds! This is an interesting brand change, with the name referring to "The Chiltern Hundreds" an ancient administrative area in Buckinghamshire, England, composed of three "hundreds" and lying partially within the Chiltern Hills. The three Chiltern Hundreds were Stoke Hundred, Desborough Hundred, and Burnham Hundred. Despite their collective name only Desborough Hundred was located within the area defined by the Chiltern Hills in Buckinghamshire. The area had been Crown property as early as the 13th century. "Taking the Chiltern Hundreds" now refers to the legal procedure used to effect resignation from the British House of Commons. This is because the ancient office of Crown Steward for the area (in full Crown Steward and Bailiff of the three Chiltern Hundreds of Stoke, Desborough and Burnham), having been reduced to a mere sinecure by the 17th century, became the first to be used in this resignation procedure a century later. Other titles were also later used for the same purpose, but at present only the Chiltern Hundreds office and the Crown Steward and Bailiff of the Manor of Northstead are used. I feel this places Carousel well and truly in the Chilterns and one hopes we may see more services added to the "brand" in the future such as the 40 to Thame, maybe the 140 at some stage? 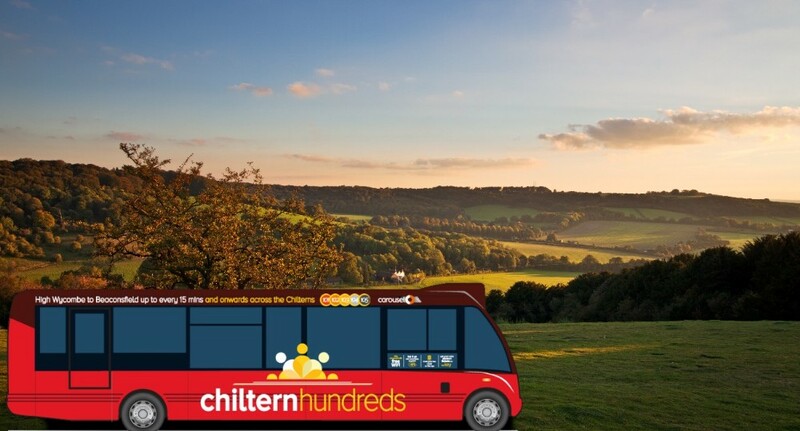 Welcome to the new Chiltern Hundreds network from Carousel Buses, launching on 3rd June 2018. 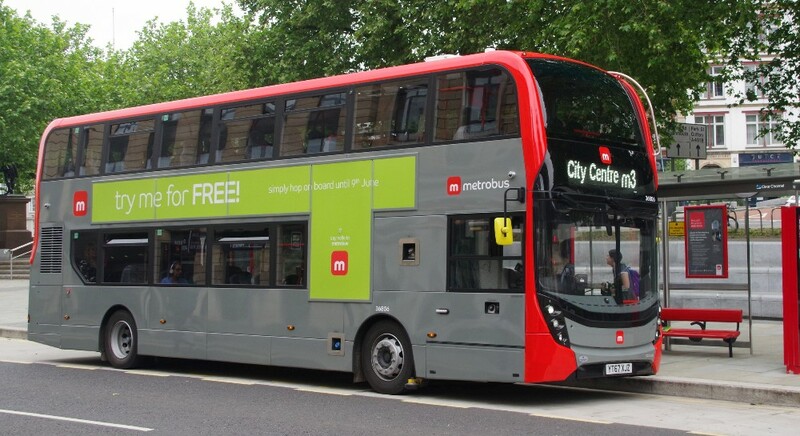 Hop on board our comfortable, environmentally friendly buses, equipped with free WiFi. You can pay the quick way using contactless bank cards or Apple and Android mobile payments on all Chiltern Hundreds services. The new improved Carousel App allows you to track your bus, giving real time departure information, as well as allowing purchases from our range of great value tickets. Here is the link to those new services. 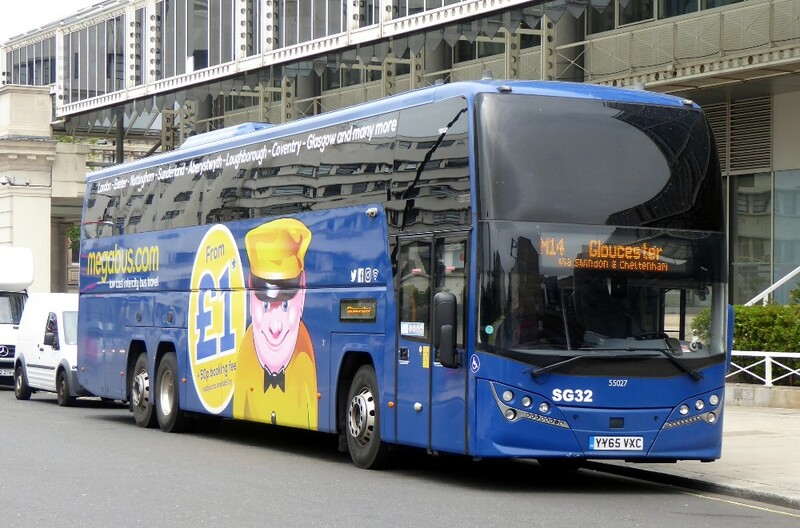 The move as the Aberdeen-based firm announced disappointing results and just weeks after FirstGroup's board rebuffed a takeover approach from a US suitor. American Tim O’Toole, who has been in the driving seat at the bus and train firm since 2010, said the “time was right for me to step aside”. The announcement came as the firm announced a 4.8% fall in adjusted pre-tax profits to £197m. 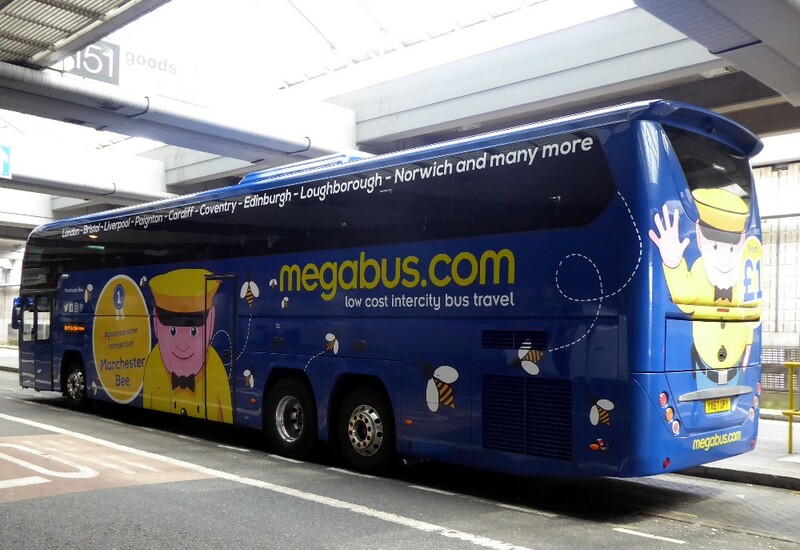 But at the statutory level the group swung to a loss before tax of £326.9m after taking hits on the value of its US-based Greyhound coach business and provisions over the TransPennine Express rail franchise. “Today’s results clear the way for the new approach sought by our chairman and the board. I should like to thank the 100,000 employees who work so hard to deliver for our customers every day. It has been a privilege to work with them,” said Tim O’Toole. Wolfhart Hauser will become executive chairman until a successor is appointed. Matthew Gregory will be appointed FirstGroup interim chief operating officer with immediate effect, and will also continue his responsibilities as chief financial officer. The process to find a new chief executive is underway. 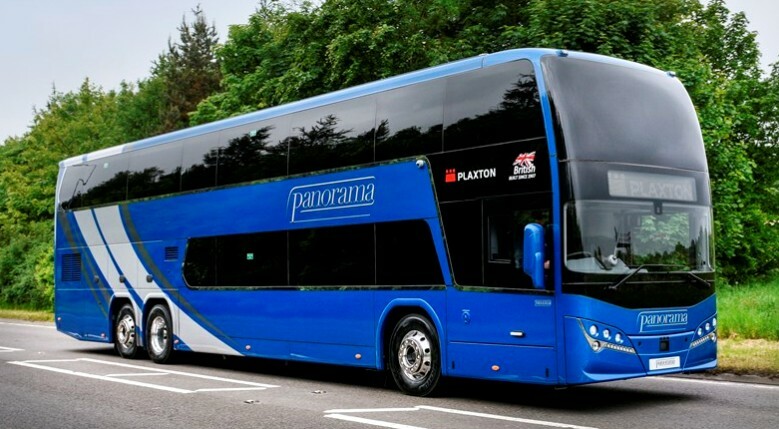 The new ADL Plaxton Panorama looks very sleek. Plaxton now offers a full range of double deckers – ensuring that more than ever, whatever operators’ requirements, the answer is Plaxton. 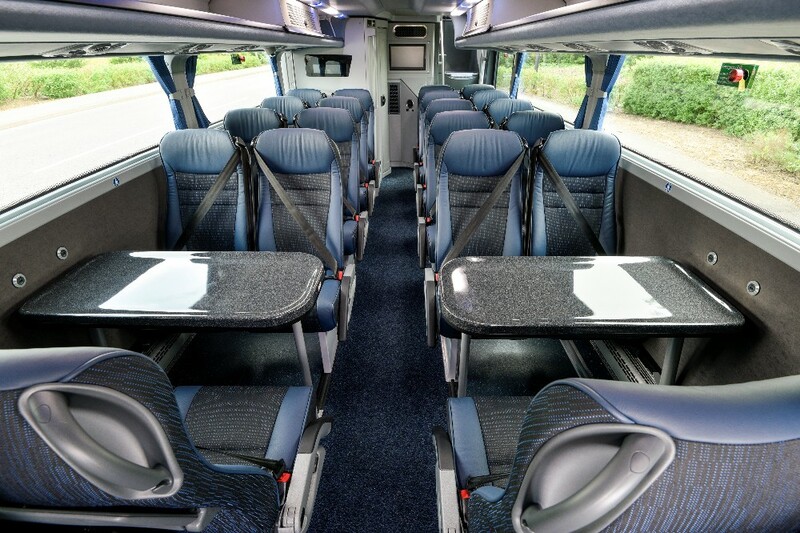 With up to 87 seats, the Plaxton Panorama double deck coach is a versatile choice for intercity coach operation, commuter express services as well as high-capacity touring. 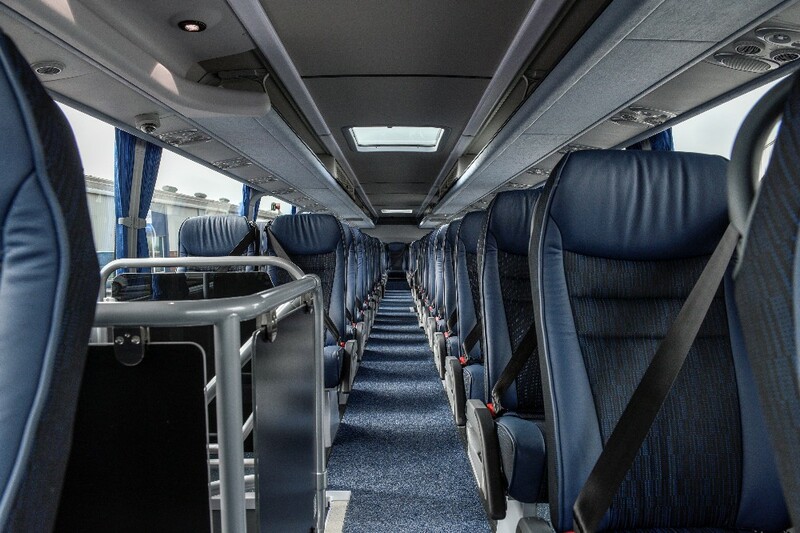 65 of the seats are on the upper deck, accessed via staircases at the front and centre of the coach. Different lower saloon layouts are available to offer wheelchair access through the front or centre door, depending on operator requirement. 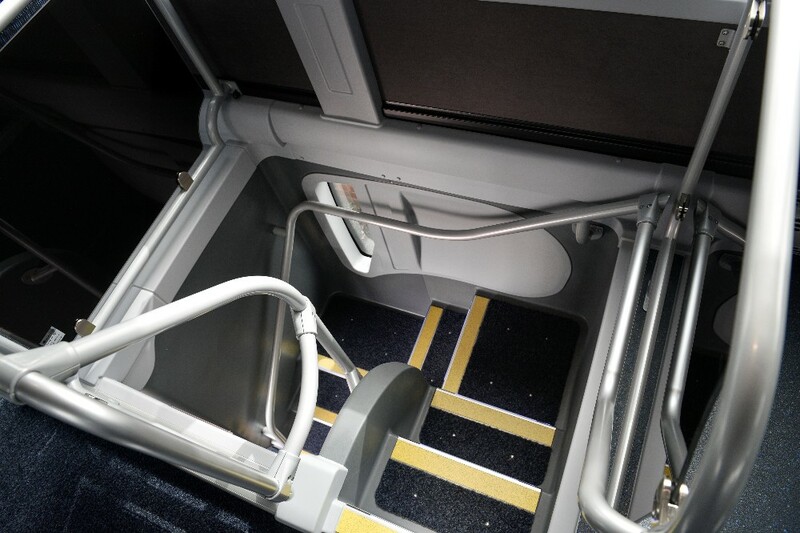 A sliding seat system enables rapid conversion to provide a wheelchair position complying with Public Service Vehicle Accessibility Regulations. PVSA. 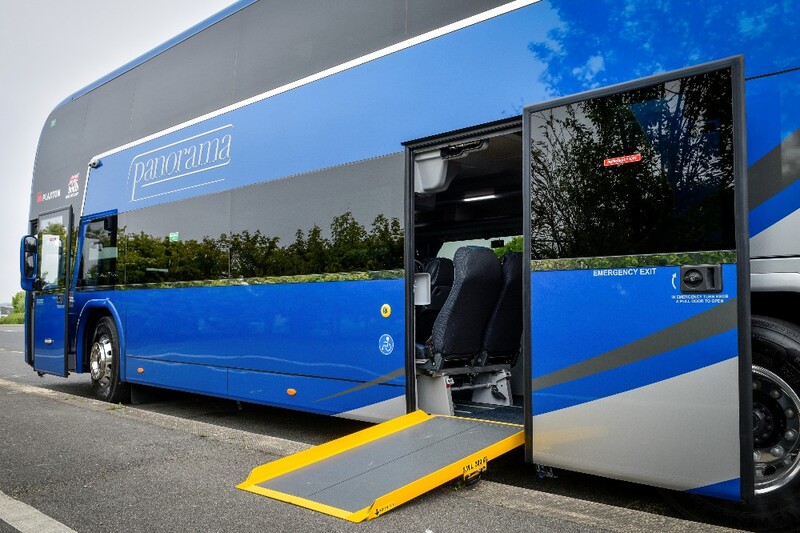 The 14.5m Panorama is built to an overall height of 4.0m – facilitating international tours – and shares much of its body structure with Plaxton’s Elitei interdeck coach, giving parts commonality and making it a good fit for mixed fleets. Total luggage capacity is 10.1m3, of which 6.8m3 are in a flat floor luggage hold above the rear axles and engine. This hold is easily loaded along its entire length through locker doors on both sides of the vehicle, as well as a nearside full height compartment access door. 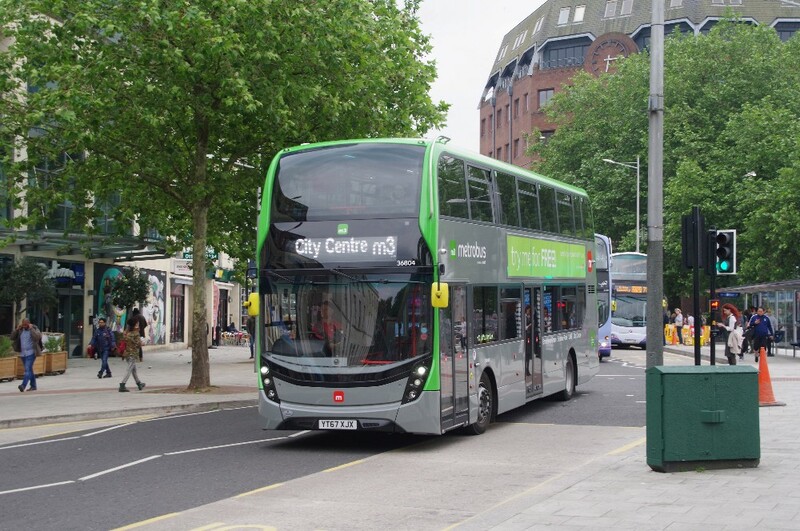 Based on the three-axle Volvo B11RLE chassis, the Plaxton Panorama is powered by a 460hp Euro 6 engine matched to Volvo’s I-Shift automated manual transmission. It also has safety built in with forward collision warning, emergency braking and lane keeping support systems provided. Plaxton’s standard stainless steel structure provides a strong, lightweight body frame with durability and peace of mind built in. 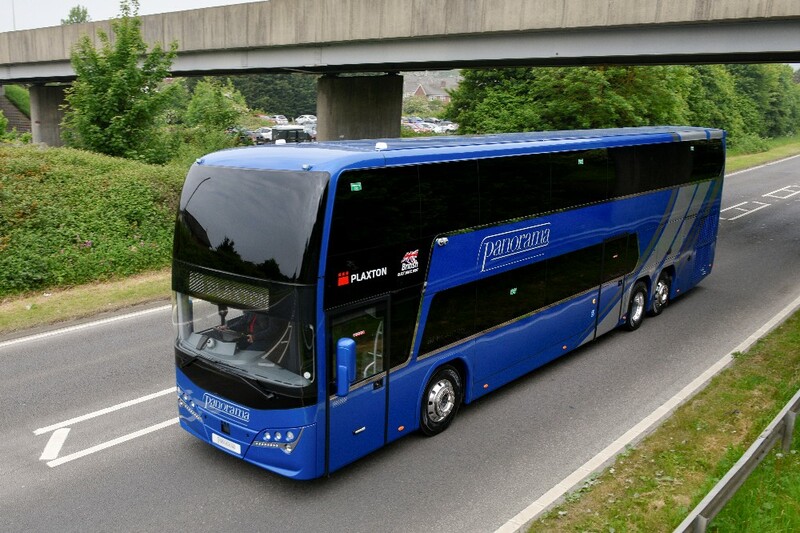 Colin Robertson, ADL Chief Executive, says: “This new coach, which represent a multi-million pound investment in new product development, is an important step in making sure we have the right products to suit all our customers’ operations, enabling us to remain competitive in the highly contested coach market in Britain and Ireland. With best-in-class aftermarket support and proven residual values, Plaxton coaches provide value for money on day one as much as in the long run." 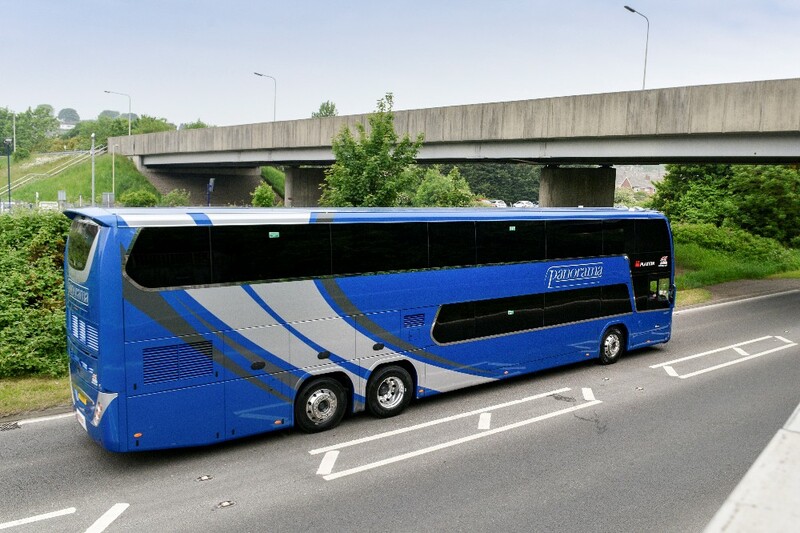 ADL’s Plaxton coach range now comprises the Cheetah XL and Panther Cub midi-coaches, the entry-level Leopard, the versatile Panther all-rounder, the easy access Panther LE, flagship Elite head-turner, interdeck Elitei and double deck Panorama. With the exception of the Cheetah XL, all are built on Volvo chassis. 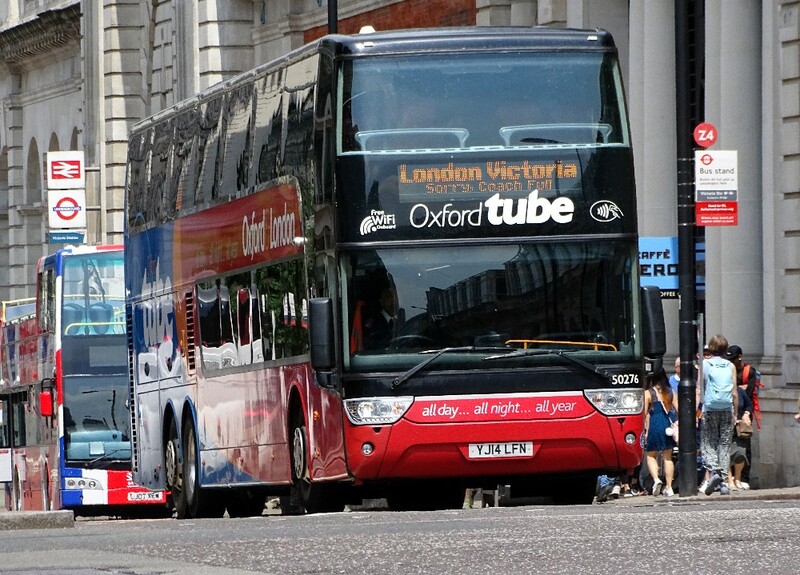 Does this mean that buses serving Oxford Station will no longer need to go there for two weeks? I wonder!! PASSENGERS are facing a ‘nightmare’ this summer with Network Rail announcing plans to cancel nearly all services into and out of Oxford Railway Station for a fortnight in July. The move will allow Network Rail to carry out ‘vital’ improvements on the busy stretch of track and at the station itself but users have slammed the prolonged closure claiming it will cause chaos. The works, which include renewing track and upgrading signals, mean there will be no trains running to or from the city between Saturday, July 7 and Sunday, July 22 and again on the weekend of July 28 and 29, with the exception of a limited direct service to London between July 16 and July 20. Network Rail said it is the final phase of the Oxford Corridor work which will allow for freight and passenger trains to 'flow more smoothly' through the station. Spokesperson for Network Rail Dean Shaw added: “Between July 6 and 23 we will be delivering a vital part of our re-signalling upgrade that, once complete, will allow trains to run faster and more effectively through Oxford, reducing congestion and speeding up journey times. Around 20,000 people are estimated to use the station each day. 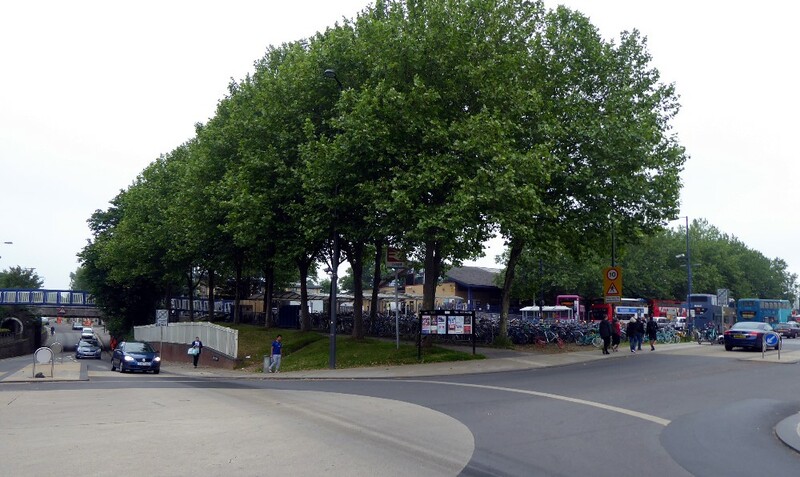 While Chiltern Railways, which serves London Marylebone, said it would be providing additional carriages to Oxford Parkway in expectation of increased demand. 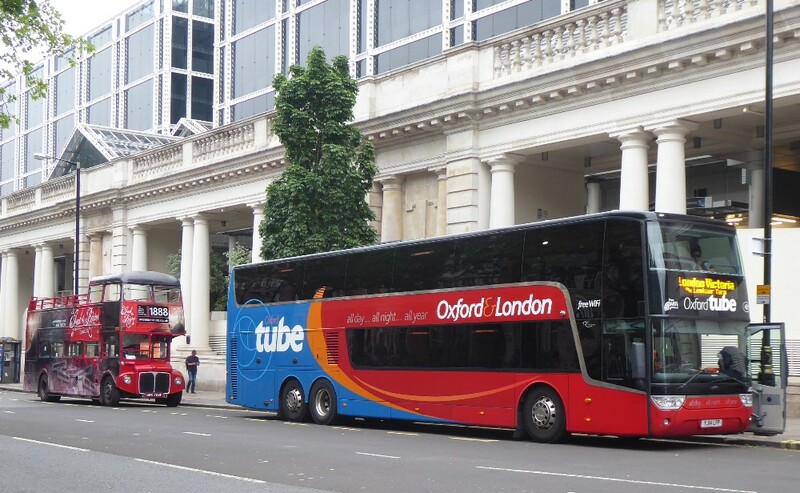 However, according to some critics, restricting train travel in to the city will put further pressure on Oxford’s often already gridlocked roads, while tourism could also be negatively impacted. I have seen a response from Wexham Park Hospital stating "there is a bus stop directly down from the trust 30 seconds walk from gate 3 which is where our new multi-million pound Emergency Department is now going to open in April and 1 minute walk from our outpatients clinics". The stop is being checked out since it is believed that there are no shelter facilities at the external bus stops. 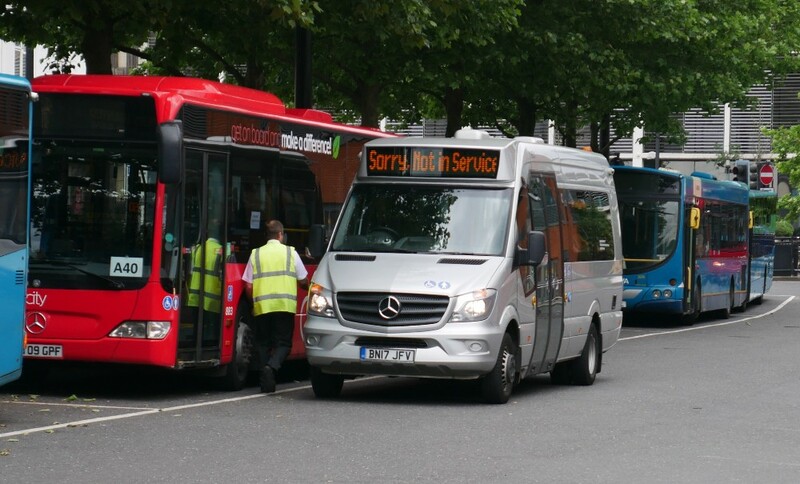 Further to my recent reports, the service now operated by Carousel, the 104, fails to live up to expectations, bearing in mind that Carousel wanted to serve and indeed registered the service to call at the hospital's inside stops but were refused permission by the Management of Wexham Park Hospital. The Management of Wexham Park Hospital claim that the stop served by service 104 is a ONE minute walk from the Out Patients Clinics when it is in fact, as proven by a correspondent, actually FIVE MINUTES AND FIFTY SECONDS done by someone who is quite fit and not elderly and infirm!!!!!!!!!!! This was actually only to reception and not further into the hospital. In the case of A&E, the claim by the Management of Wexham Park Hospital was only a 30 SECOND WALK. However when also walked by my correspondent it was FOUR MINUTES TWENTY SECONDS to the barrier preventing access to the said A&E which is seemingly under construction. This information is provided by an extremely reliable made aware of correspondence from the Management of Wexham Park Hospital. If the Management of Wexham Park Hospital care to refute our findings I will be more than happy to publish their replies and counter claims. Pictures will follow in my next issue in two weeks' time. The yard certainly presented some interesting vehicles in addition to those often seen on the road and recorded in these pages. Some pictures have been provided by Andrew Webb taken on May 5th. An Alexander double deck probably an Olympian but with no obvious origins. An Albion of unknown vintage but probably made during the late '50s when these Nimbus's were popular. 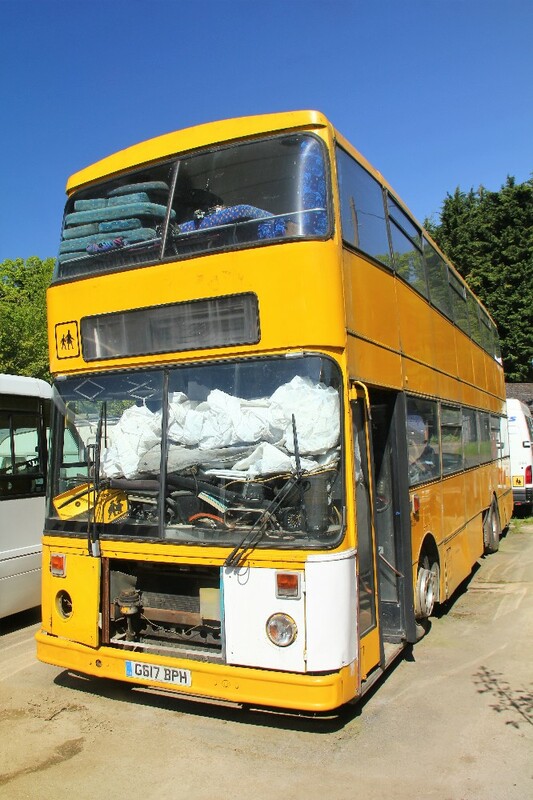 I couldn't see the registration on this so presume it is near original layout with "tropical" windows and narrow doors. This suggests Hong Kong. New in November 1989 to London & Country, a Volvo B10M-50 with East Lancs H49/39F+9 standing body. Thee buses were eventually absorbed in Arriva. 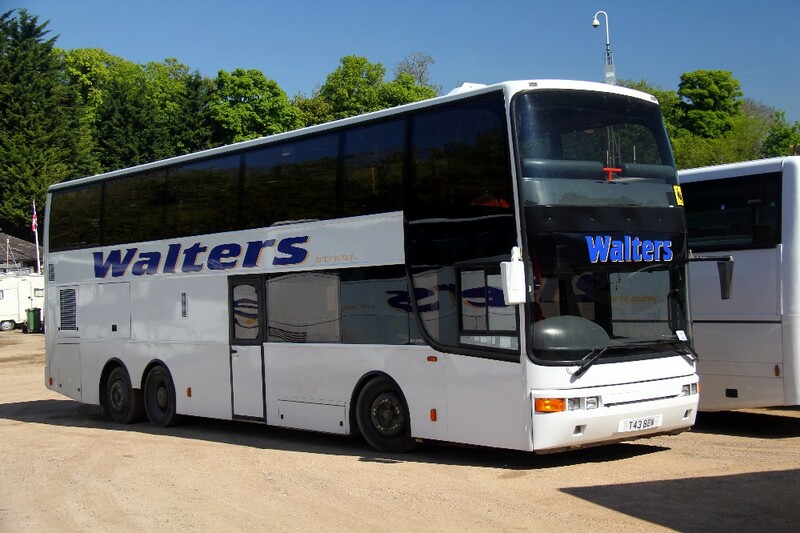 Once the pride of the Oxford tube and other areas of Stagecoach later, T43BBW is now "back home" with Walters. 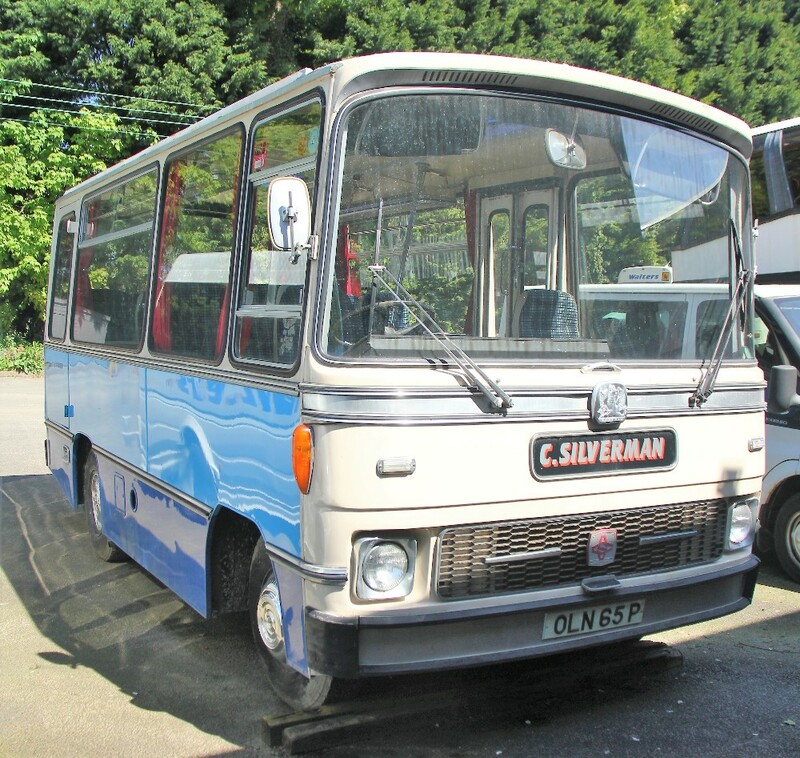 New, in June 1976, to Chapman of Feltham, OLN65P is Bedford J2SZ2 with Caetano 20 seat bodywork and has done the rounds. It still looks very tidy! 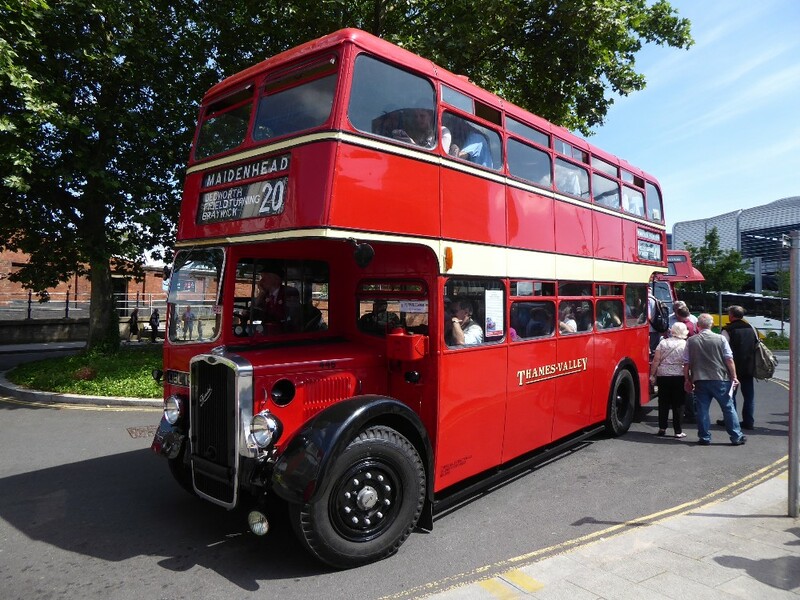 Sunday saw an excellent turnout of older buses when The Thames Valley and Reading Vintage Bus Running Day took place. 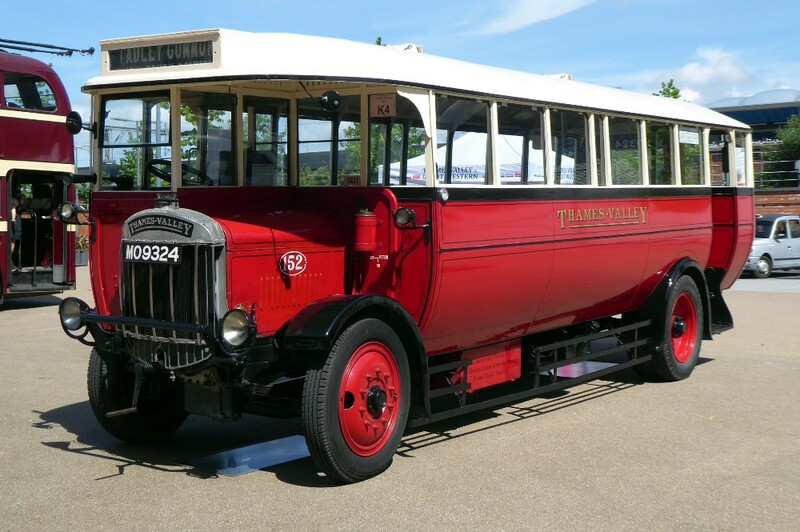 This is organised by The Thames Valley & Great Western Omnibus Trust. Gavin Francis attended and provided an excellent pictorial report on those vehicles present. Here is a small selection to be going on with. GREAT WESTERN ROAD MOTORS, a GUY FBB - YF 714 - with a Guy 32 seat body built in 1927. A tinkling Tilly - MO9324 is Tilling Stevens B9A with replica bodywork which was nr. 152 in the Thames Valley fleet. 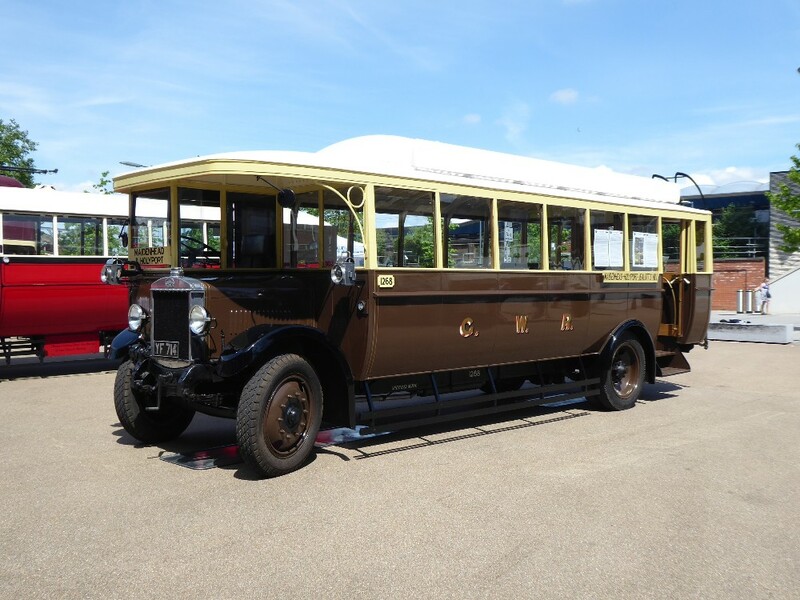 Imagine being able to time travel back to 1927 with a fully charged digital camera and take pictures of and travel on such buses before returning to the next century!!! A Bristol K6A of 1946, formerly with Thames Valley Motor Services, this bus had an early variant of the post war ECW lowbridge body. 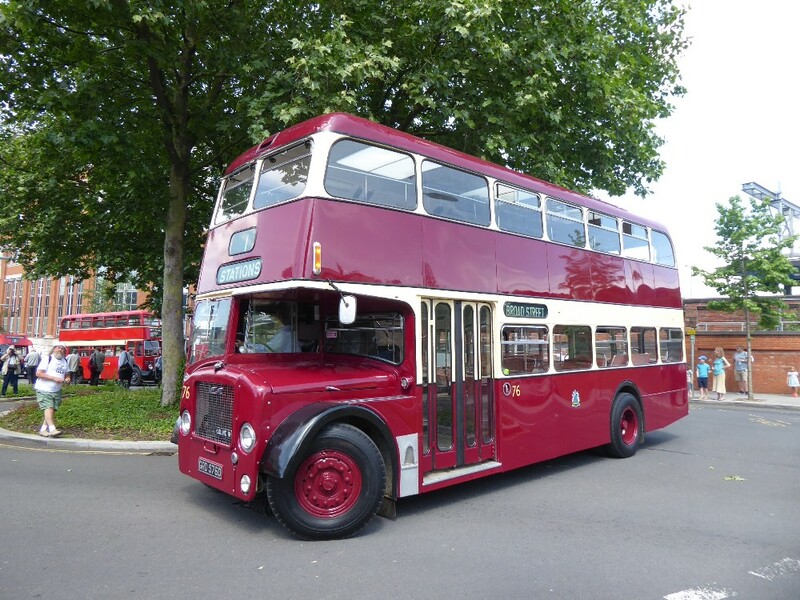 In 1952 this bus was allocated to High Wycombe and might have worked the main road service to Reading. 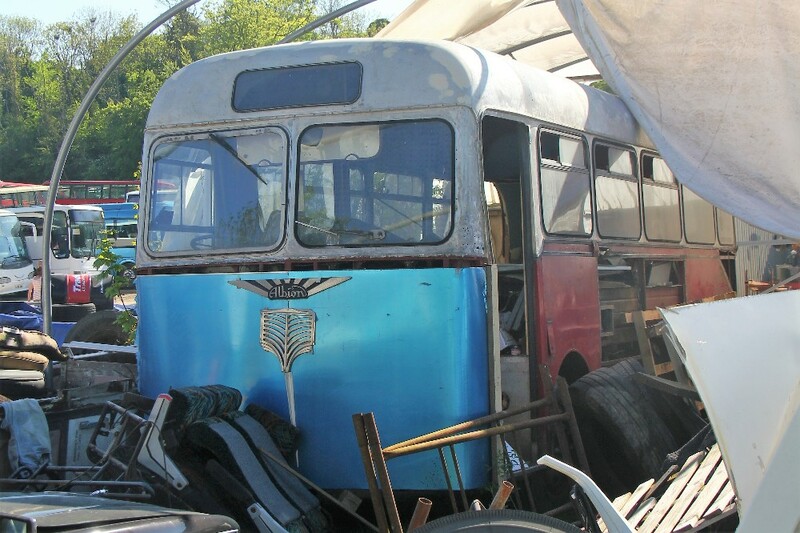 Indeed by 1958 this bus had moved to the Reading depot. Reading Dennis Loline III with East Lancs bodywork new in 1966, fleet number 76 - GRD576D, looking immaculate, even brand new !! I intend using these over the coming weeks and would note that there will be no update next weekend, June 10/11 as I am away in that period. 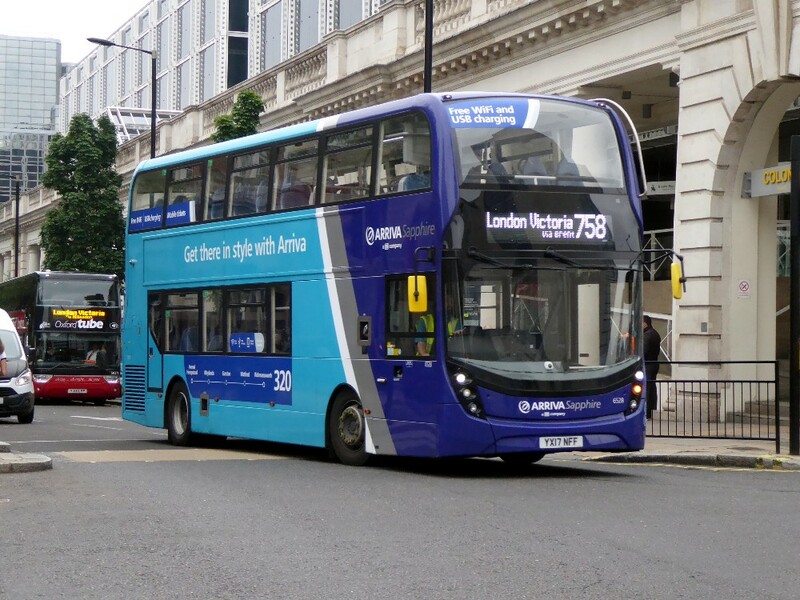 From this weekend Arriva have the Reading road to themselves on their service 800 and 850. It will be interesting to see if the standards are maintained! 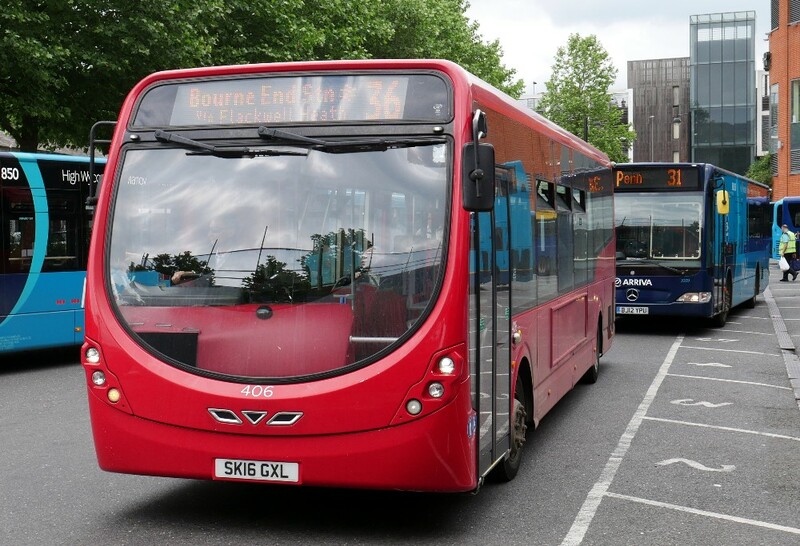 However we are now advised that the company will cease service on the 74 Slough route from June 23rd. 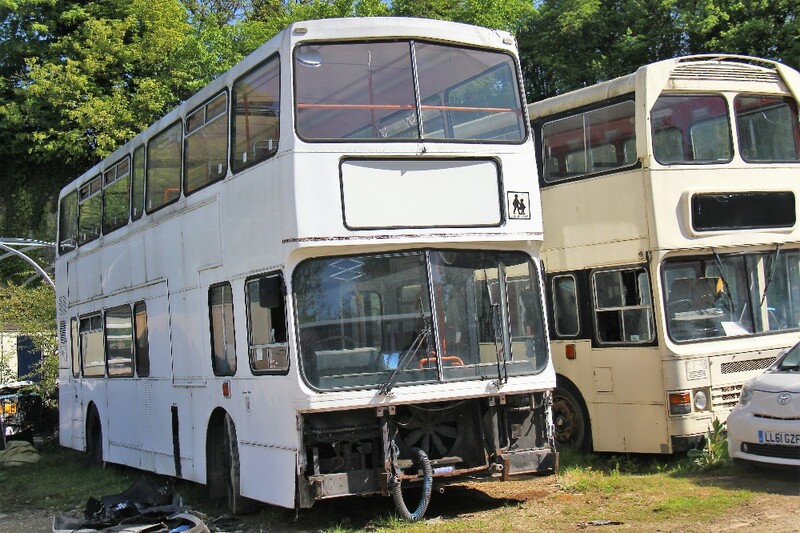 How very strange, 3615 shows a service no longer in operation and never worked by this bus, by Malcolm Crowe on June 2nd. 3794 working the X8 leaves Oxford Station on May 29th by Gavin Francis. 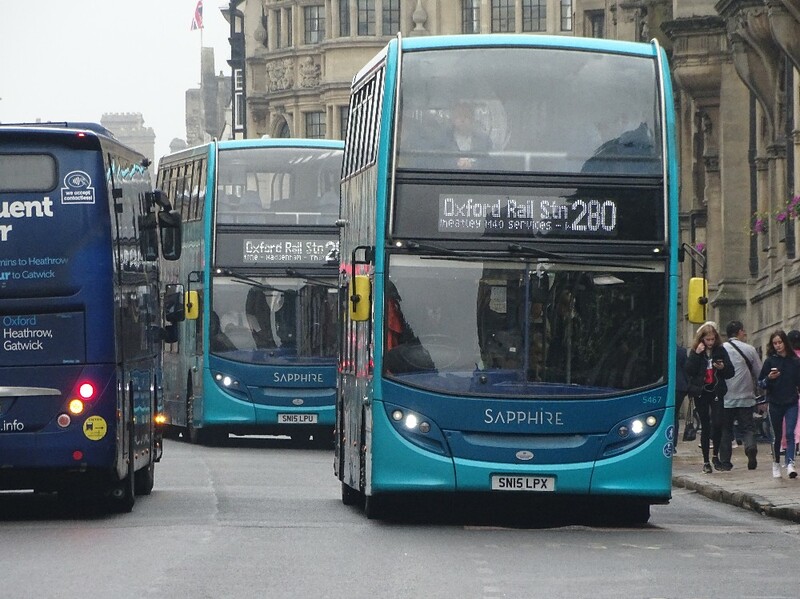 Saturday May 26th saw a busy day on the 280 service with one following another in Oxford as seen by Richard Sharman. 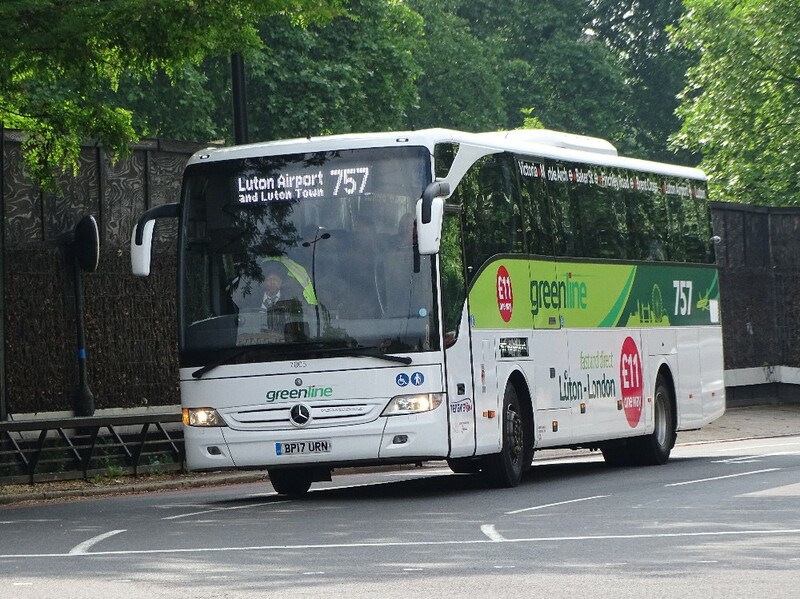 The following day Green Line branded 7005 is seen heading for Luton Airport by Richard Sharman. 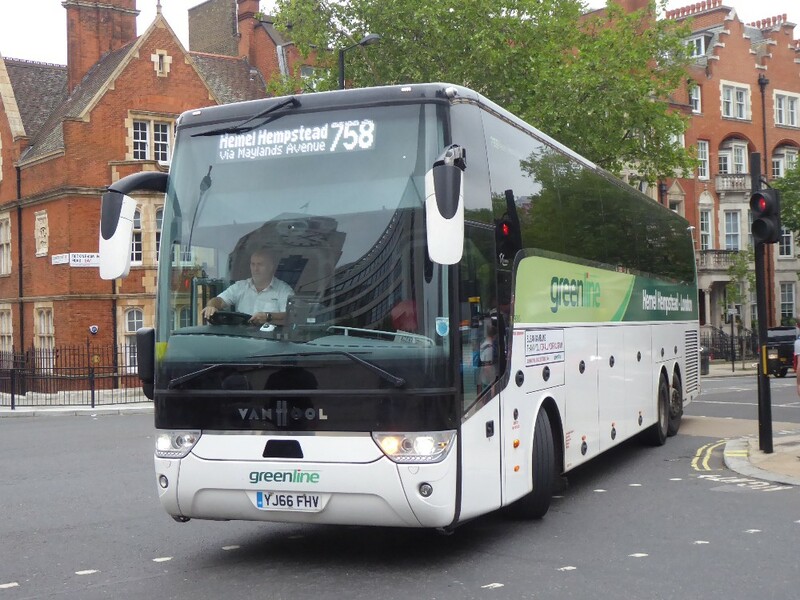 MMC 6528 once again seen working the 758, along with more MMCs and only one coach as seen below on May 29th by Gavin Francis. 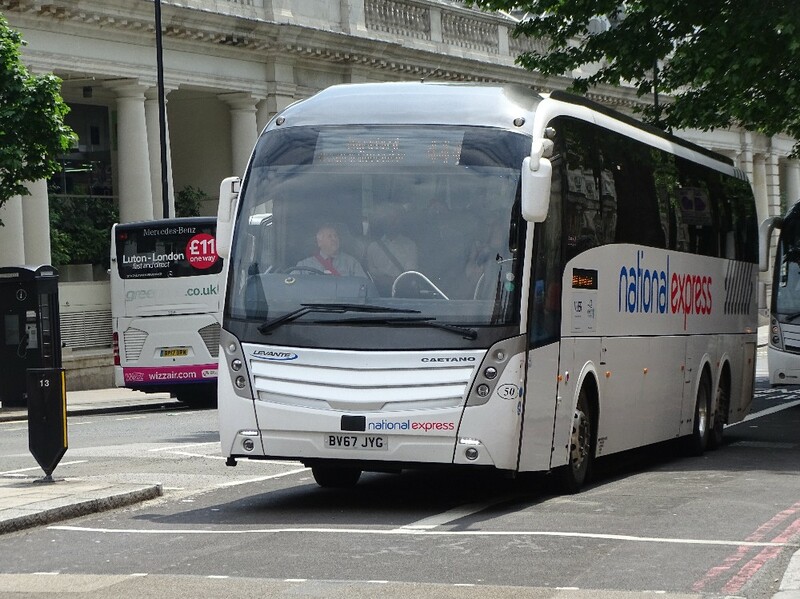 Van Hool 9000 seen arriving in Victoria and it is suggested that only one coach remains at Hemel somewhat backed up by the regular sighting of MMCs in London. 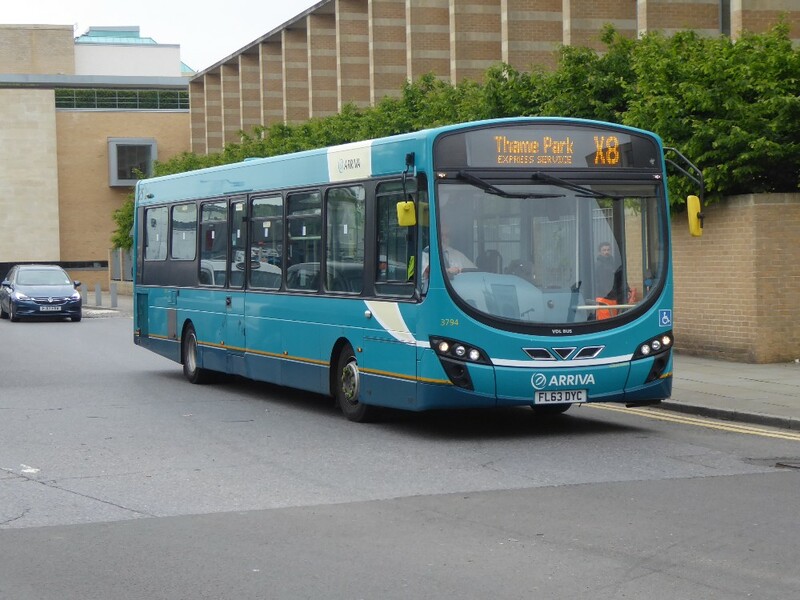 There are now THREE services from High Wycombe to Slough from Arriva, Carousel and First. One wonders if there is sufficient traffic to sustain this level of competition. The routes do however vary on the three operator's routes. First run via the M40 from Loudwater to the Slough side of Beaconsfield, offering the faster service between points. 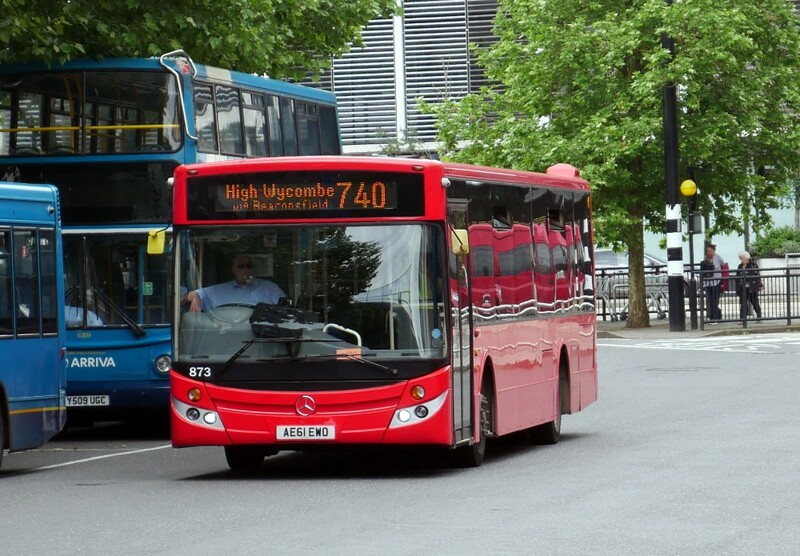 However look above under Arriva and I have late news that the Arriva 74 is to cease operation on June 23rd. 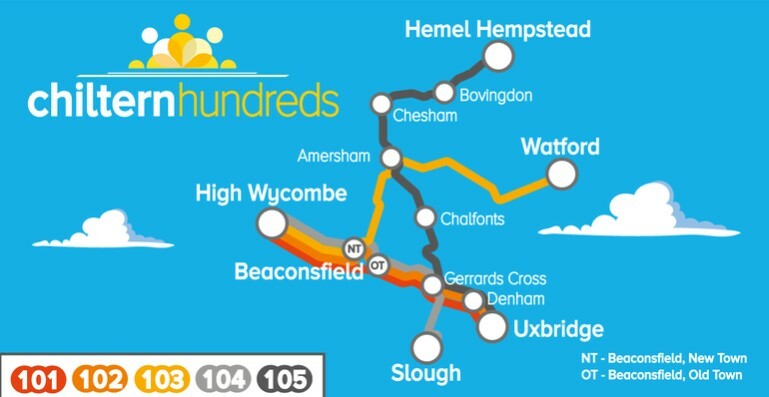 Much has been said about the launch of a change in branding for the services around High Wycombe, the Chiltern Hundreds! 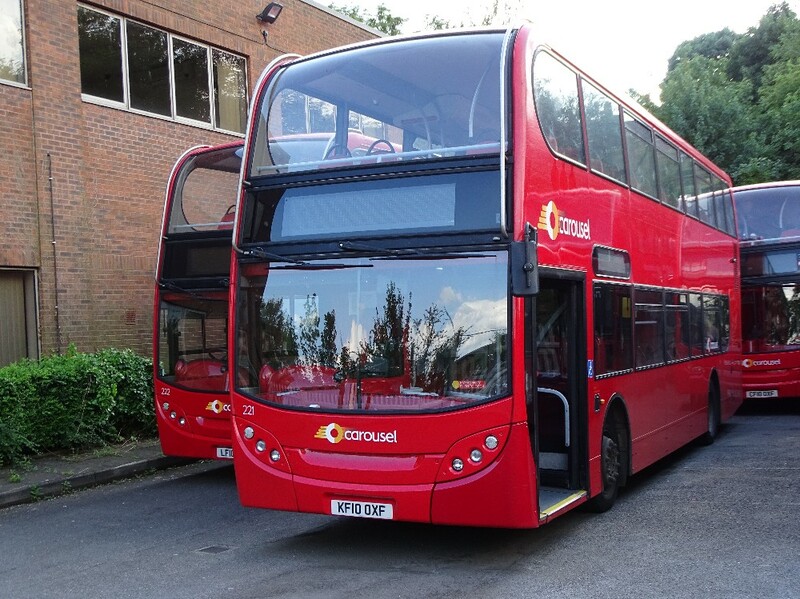 On another level, this last weekend saw most of the intended re-branded fleet off the road for vinyls to be applied and the use of most of the double deck fleet used on Saturday to allow this work to take place. 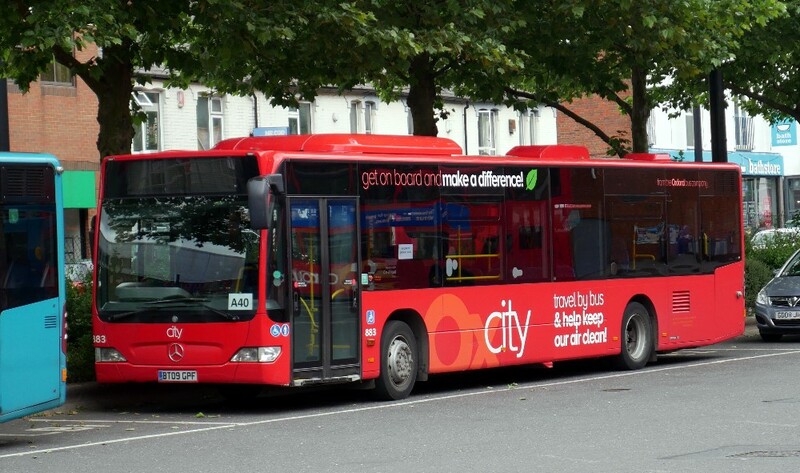 Also drafted in was Citaro 883 from Oxford which was operating the A40 on Saturday with the inevitable paper sticker in the window!! 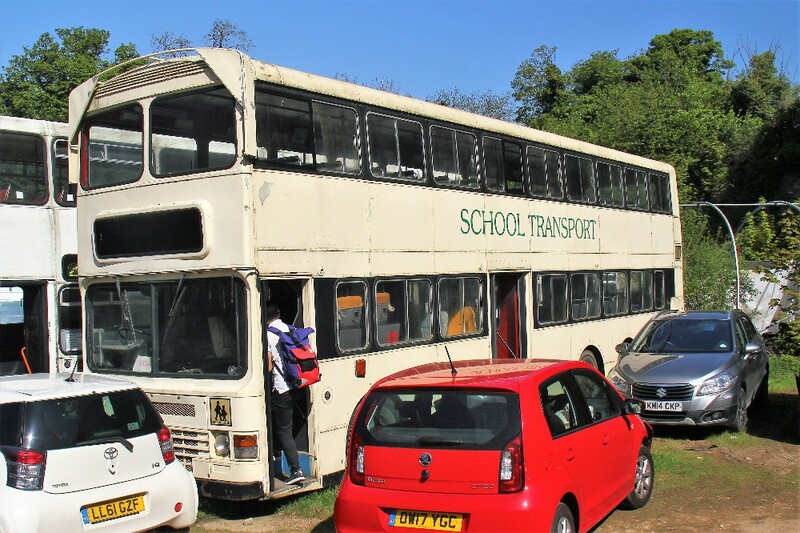 In deed the only decker seen at the depot was Scania 914. Now with X80 branding removed, 221 stands quietly pondering the future in the overflow yard at Wycombe depot on May 26th by Richard Sharman. 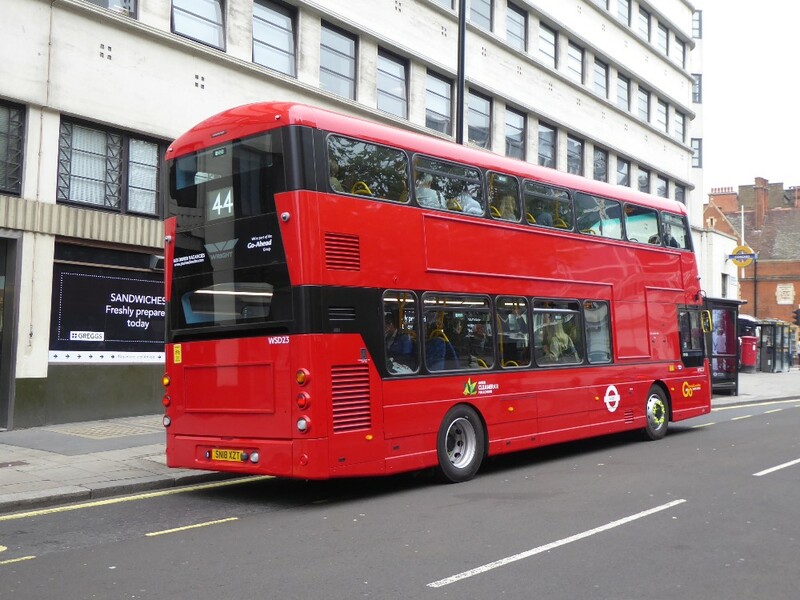 More buses devoid or without branding by Malcolm Crowe. Obviously Saturday was branding day and Oxford's 883 was drafted in to help whilst other buses were branded, by Malcolm Crowe. The staff bus mentioned last week is still around I was able to catch it in the Eden Bus Station on Saturday, However it was not working on the Staff Shuttle. I was however told that it is only a loan. This was clarified by OBC that its intended route, the Johnson & Johnson shuttle only runs to the end of July. Picture by Malcolm Crowe on June 2nd. Following the heavy work load last weekend, the weekend saw a quiet time as things returned to normal. Not much to report except that the X38 has now replaced Carousel's X80 between Henley and Reading!! Yeomans nr 50 - BV67JYG works the 444 to Hereford on May 27th by Richard Sharman. 50278 YJ14LFP is seen with a rather smart open top Routemaster in Buckingham Palace Road on May 29th by Gavin Francis.VIC 290518 G Francis. 50276 is seen arriving in London Victoria after a fully loaded run in from Oxford on May 27th by Richard Sharman. Much was made of the memories of the Manchester bombing a year or so ago. 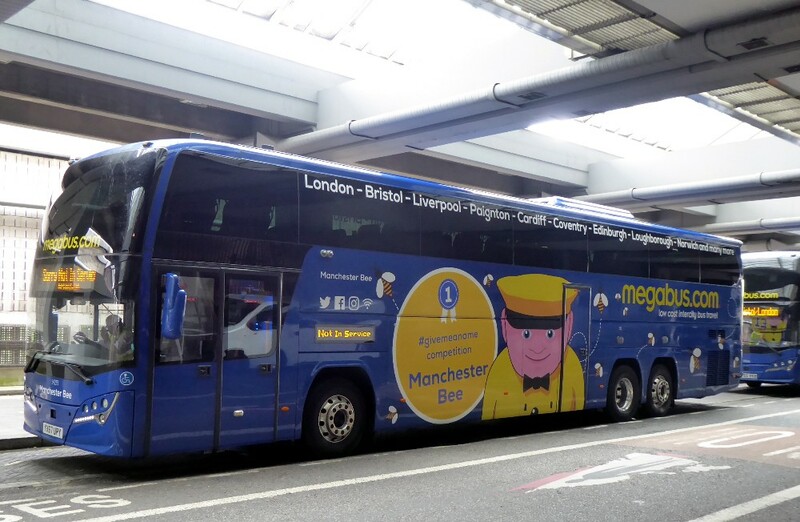 This provided the reason behind a nicely presented tri-axle called the Manchester Bee. It is seen below in Bulleid Way London by Gavin Francis on May 27th. Rather appropriate branding I am sure readers will agree. South Gloucester as their SG32, seen here on layover in Victoria on an M14 working to Gloucester. May 30th by Gavin Francis. Reports from out of our area. 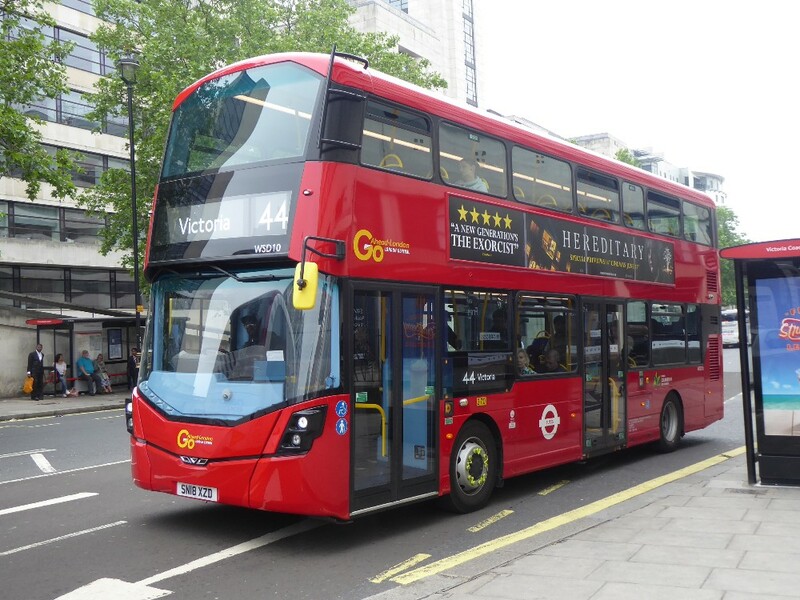 New 18 plate deckers on Go Ahead's 44 route as seen by Gavin Francis during the past week. 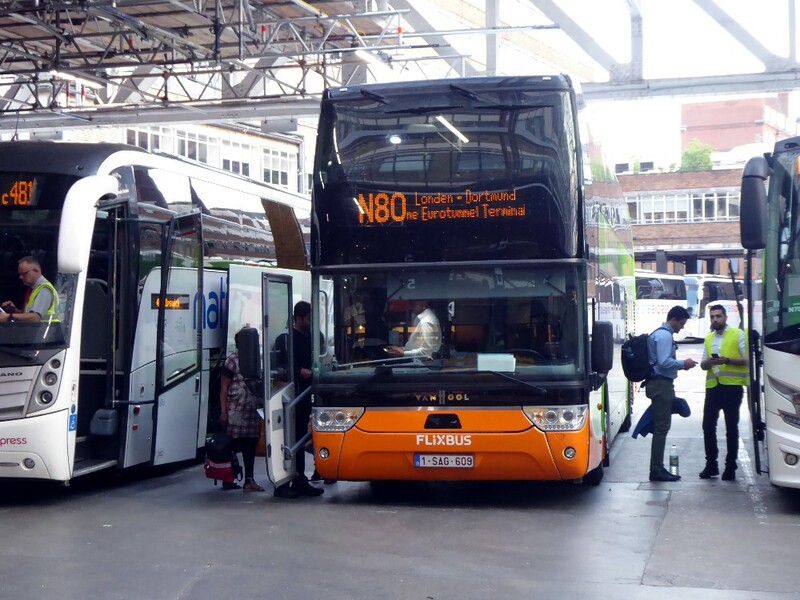 FLIXBUS Van Hool Astromega 1-SAO-609 works the N80 from VCS to Dortmund on the Ruhr. June 1st by Gavin Francis. First Bristol and West Country by Carl Berry. 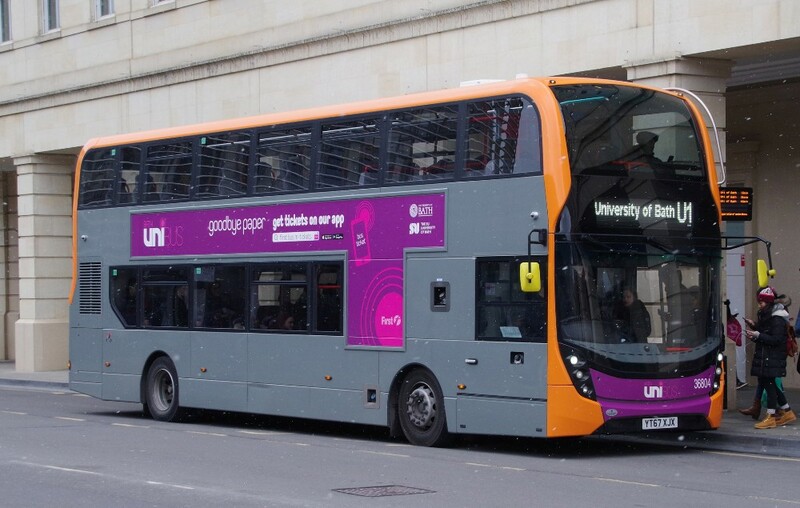 Colouirful variety in Bristol and notice that the first, 36804, has gained fresh colours only 3 months later.